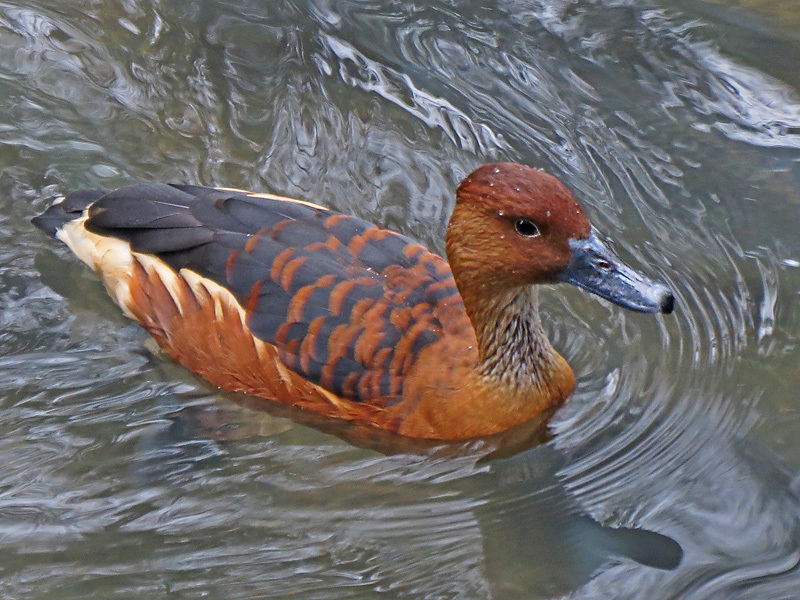 The Fulvous Whistling Duck is tan with a dark bill and legs, a dark back, a pale side stripe, and a white rump. It is a tawny goose-like duck that is found grazing in open fields or tipping up in shallow ponds. It has a range from Southern United States (Texas to Florida coasts) to Central America. It has a habitat in marshes, mostly coastal. It feeds on mostly seeds and aquatic plants.